As promised, I am introducing to you another party I joined early this year. 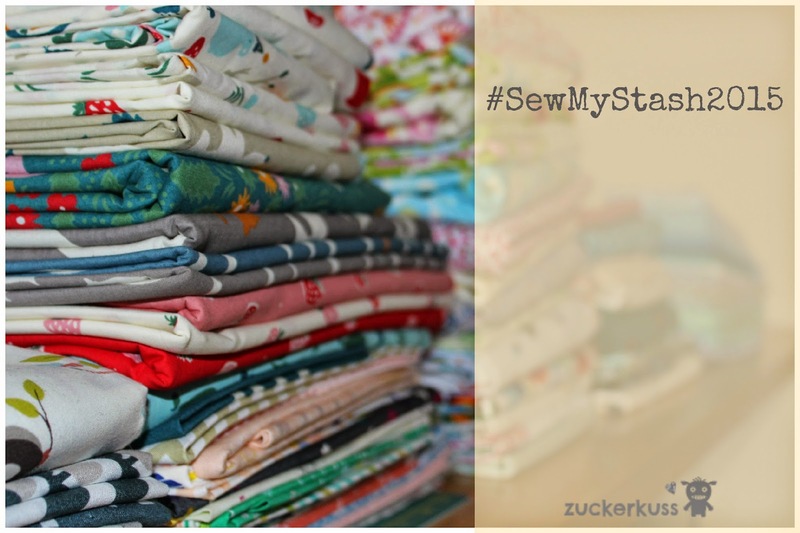 The #SewMyStash2015 by Leasa is basically a get-together helping you to reduce your stash. 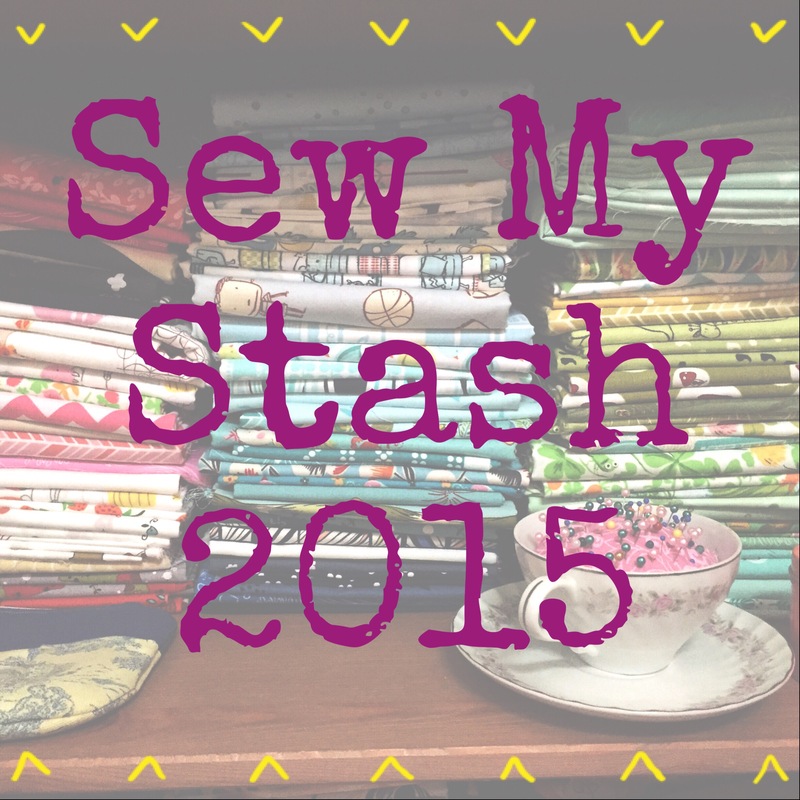 You don't need to diet to take part but I guess dieting a wee bit can't really harm us fabric lovers/hoarders. Top right is my box of tiny scraps. Tiny. And it gets hardly used to be honest. BUT. This weekend I read an amazing post by Emily. 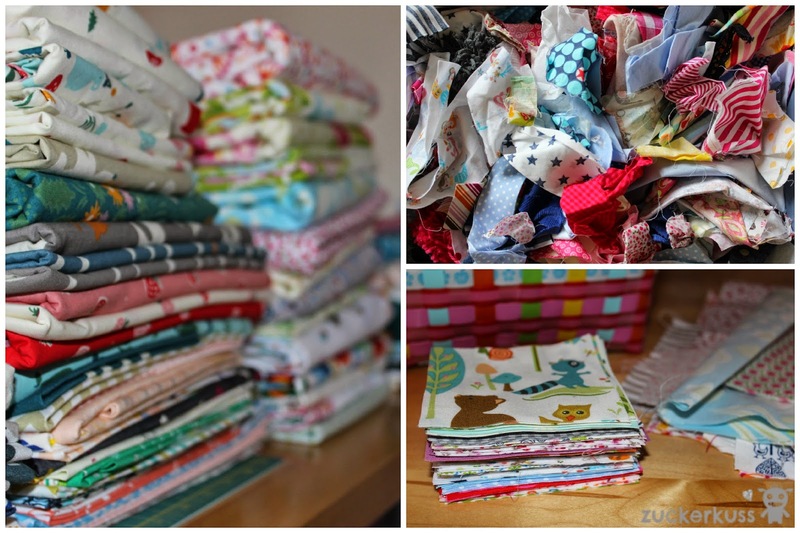 She was transforming all her lovely little scraps into a gorgeous rainbow quilt. What she does? In fact, she is not as lazy as me chucking everything into the scraptastic box but cuts everything straight away in 3.5'' squares. That makes it so much easier to actually use your tiny treasures, right?! So. This is what I done this weekend. See the pile on the right! It took ages... So I really see her point of doing it straight away.